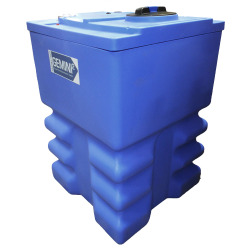 Gemini2 70 Gallon Blue Square Dual Containment Tank - 24"L x 24"W x 40.5"H | U.S. Plastic Corp. 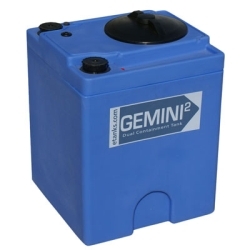 This Gemini2 70 Gallon Blue Dual Containment Tank is 24"L x 24"W x 40.5"H and weighs 64.55 lbs. It will hold up to a 1.5 specific gravity. 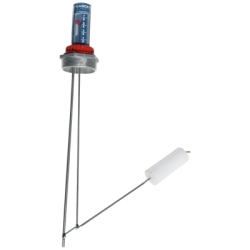 It has a 8" OD twist lid and 2 - 2" spinweld fittings. 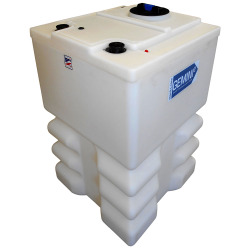 Gemini2 120 Gallon Blue Square Dual Containment Tank - 32" L x 32" W x 49" Hgt. Gemini2 120 Gallon Natural Square Dual Containment Tank - 32" L x 32" W x 49" Hgt.